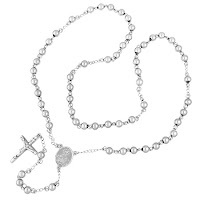 Rosary chains have been in fashion for the past couple of years and yes they are everywhere and you can find some in topman I am sure, but how about a real quality one that looks amazing and won’t fall apart next week? This stunner is made from solid high grade stainless steel, so it won’t mark your skin, it won’t tarnish and it will take a tug of war to break it! 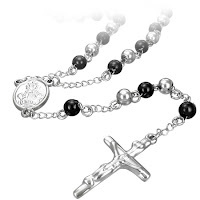 It has alternate black finish links, which makes it our most popular. A bargain price of only £39.99 (more than topman but will last you for years plus you won’t look like everyone else!) We have very limited numbers of these popular Necklaces for men so hurry! 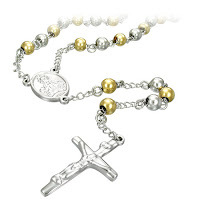 ……..and in two colour gold & silver finish! Don’t miss out so far the customers that have purchased some have loved them!